Some people talk about love and kindness, but real masters walk the talk. They are embodiments of what they teach. Kuala Lumpur, Malaysia -- I HAVE mentioned many masters in my articles, and in my search for knowledge, healing and wisdom, I continue to meet many more. This month, I am blessed to meet several great masters. Some masters are healers of the physical body, while others are healers of the soul. Then there are those who are healers of both. Way back over 14 centuries ago, Muslims were already commanded to seek knowledge, even if we had to go to China. I have been fortunate because GOD has sent many masters from China to me! 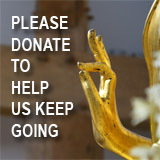 << Most Venerable Master Chin Kung’s consistent message is that of loving kindness. Readers may remember that my first qigong master, Master Yusuf Yang Huaxiang, hails from Ningxia in northern China. Since that meeting over 15 years ago, I have met and learned from several other qigong masters who came from the mainland. The Most Venerable Master Chin Kung is a world-renowned Buddhist monk and scholar from the Mahayana tradition. Born in China, he is now based in Taiwan, and since the 70s, has been travelling and teaching in many countries. He now has thousands of students and followers all over the world, including Malaysia. I was also impressed by the number of youths who follow his wise teachings. Recently, I had the privilege of being a speaker at an interfaith forum graced by his presence. I also had the opportunity to listen to two of his many dharma talks, and I was thoroughly touched by his friendliness, humility, brilliance and wisdom. 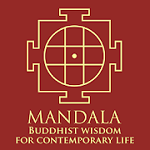 The learned monk, who also holds professorial posts in many universities, has touched the lives of many people through the numerous projects he has initiated across the globe, from China, to Australia, to Indonesia, and beyond. In Indonesia, he is much loved and respected by the Muslim ulama (scholars), and I can see why. Some people talk about love and kindness, but real masters walk the talk. They are embodiments of what they teach. 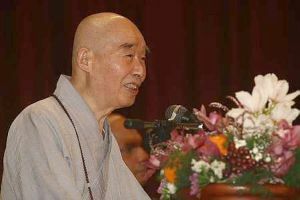 Most Venerable Master Chin Kung’s consistent message is that of loving kindness, and indeed love and kindness glow in his smiling face, his words and his character. We all have much to learn from him. I was also invited to attend the welcome reception given to him by the Theraveda Buddhist community, at the Buddhist Maha Vihara in Brickfields. There, my spiritual brother, the Most Venerable Dhammaratana, Chief Priest of Malaysia and Singapore (who succeeded his late uncle and my spiritual father, the Most Venerable Dr Dhammananda) with all humility sat beside Most Venerable Master Chin Kung as the latter delivered his dharma talk in his (the former’s) home ground. Among masters, there is no ego, only love and respect. If only we all can imbibe and inculcate their teachings and their examples into our lives! Most Venerable Chief Dhammaratana was personally selected by his late uncle and brought from Sri Lanka as a young novice monk to Malaysia to become his understudy. Over the years he proved himself worthy of the trust, and the job ahead. He is much loved by his community, and he also loves his community immensely. The Ti Ratana charitable organisation that he founded has grown into one of the most active and successful charities, giving shelter, education and other forms of assistance to orphans, poor children, the elderly and the distraught in the community. He works tirelessly to improve the spiritual and physical lives of those around him. His community work transcends religious boundaries. Every year, in commemoration of our Independence (Merdeka), the Buddhist Vihara gives out money and gifts to orphans and children from poor families, including many Muslim children. When I visited the late Chief and it was time for my Muslim prayer, he would invite me to pray in his private bedroom. My brother the present Chief has also extended that privilege to me. There are no barriers between brothers (and sisters) of different faiths, if we love and respect one another. I have always felt at peace with the learned monks who have devoted their lives to simple living and service to the community, and I am most privileged to have been close to several of the best among them.